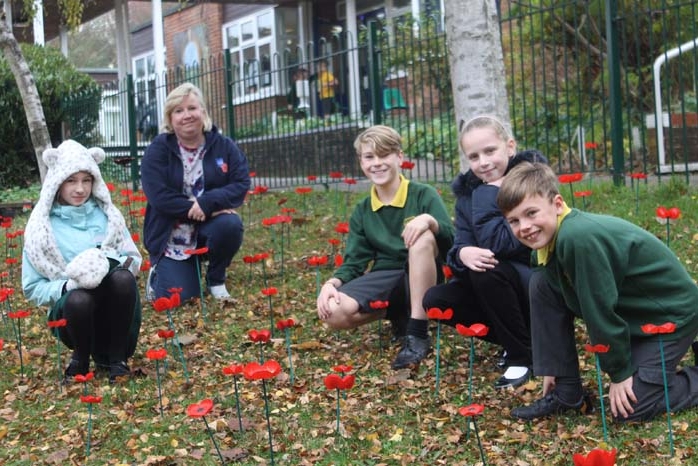 There’s a stunning entrance of poppies at Valley Road School. 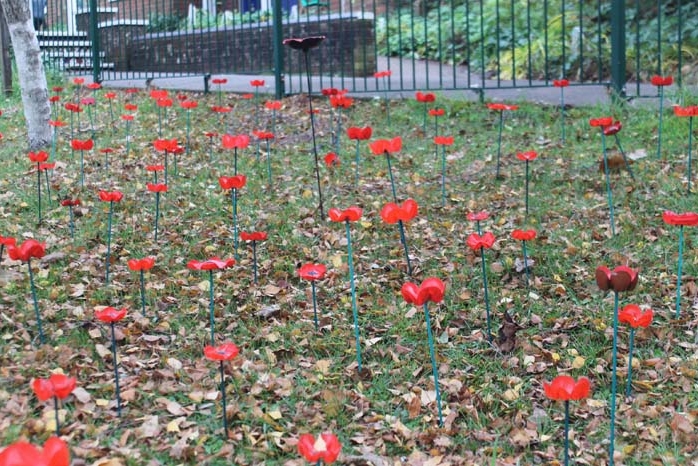 Take a closer look and you’ll see that 280 poppies are been made out of plastic bottles. 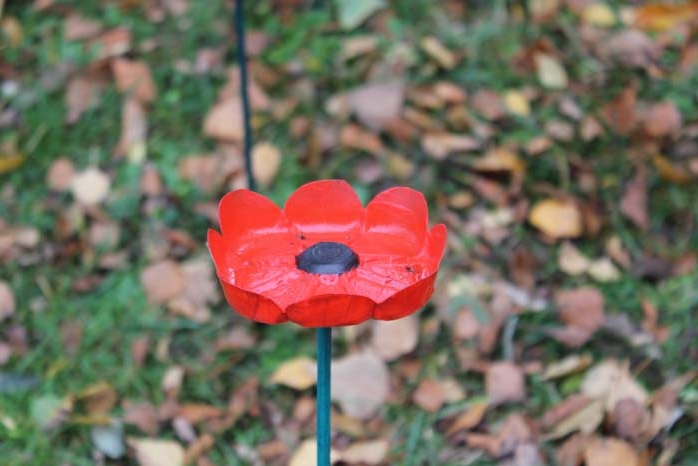 Along the fence behind the poppies, there are collection boxes for donations to the Royal British Legion poppy appeal. 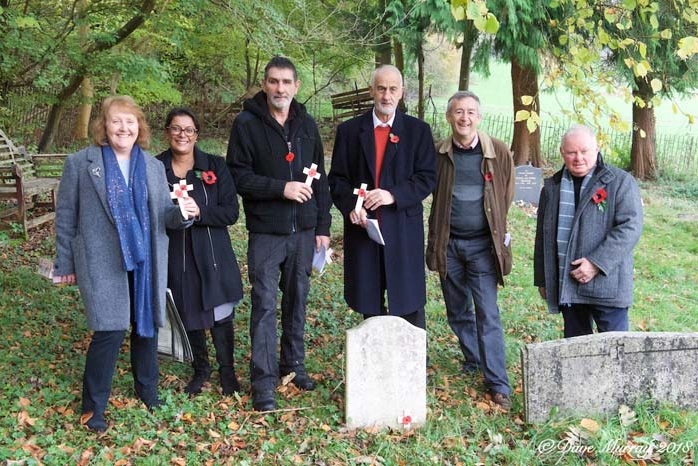 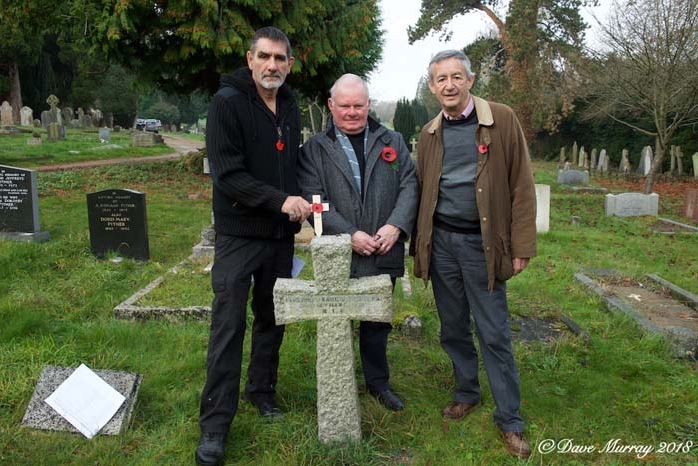 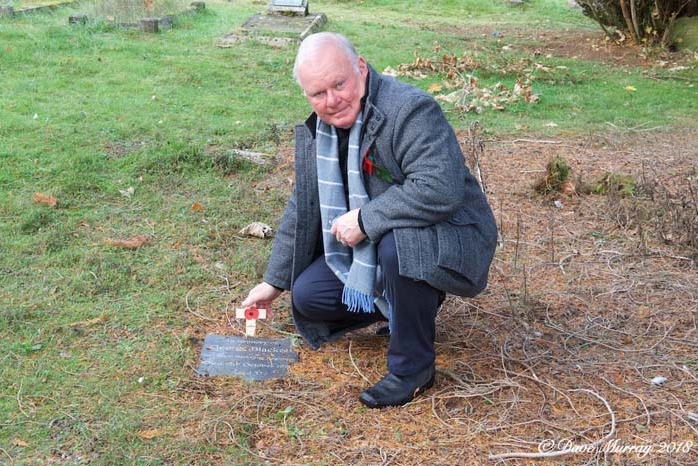 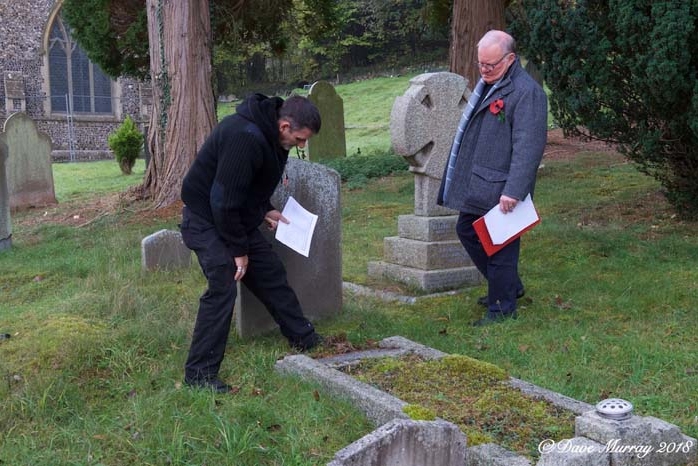 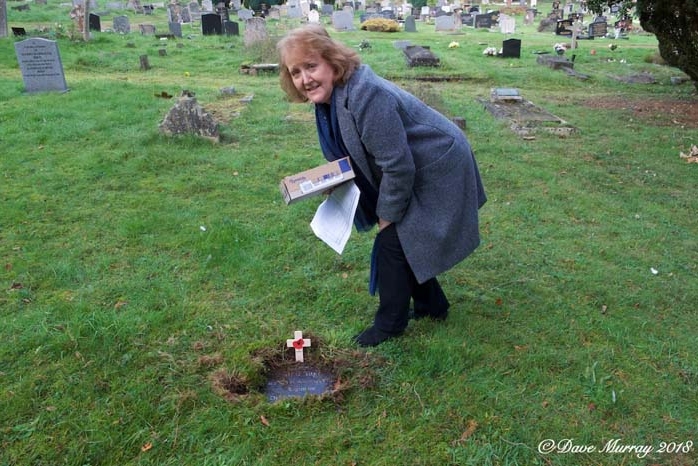 For the first time, the war graves at Henley Fairmile Cemetery have had a wooden remembrance cross placed on them this year. 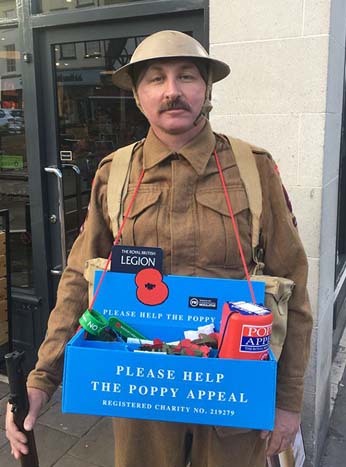 Many shops in town have changed their display to mark Remembrance this year. 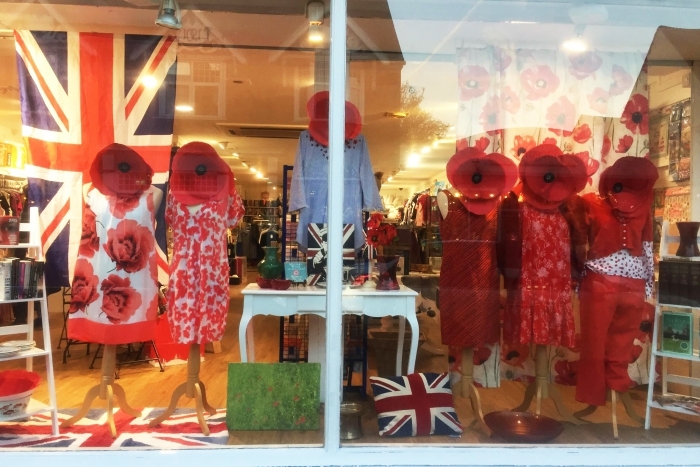 Amelia Staines, Assistant Manager at the Sue Ryder Shop in Duke Street has designed a very impactful Remembrance window. 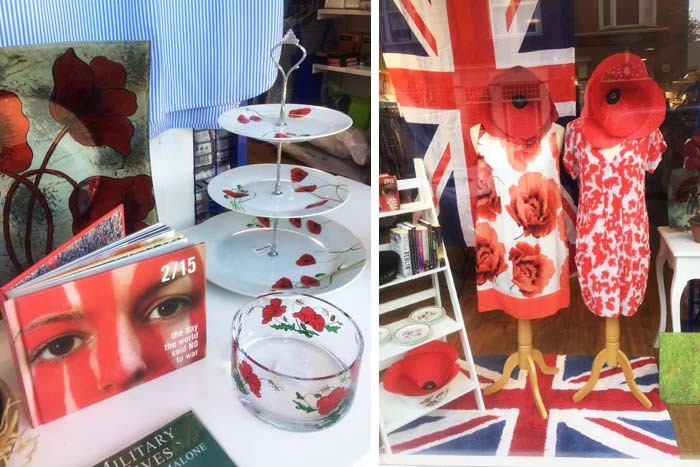 She said, “I decided to design a poppy window to support Remembrance. 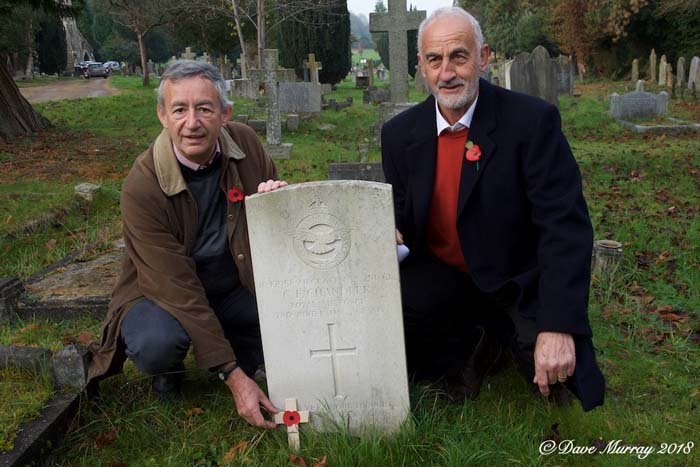 The poppy being a symbol of hope. 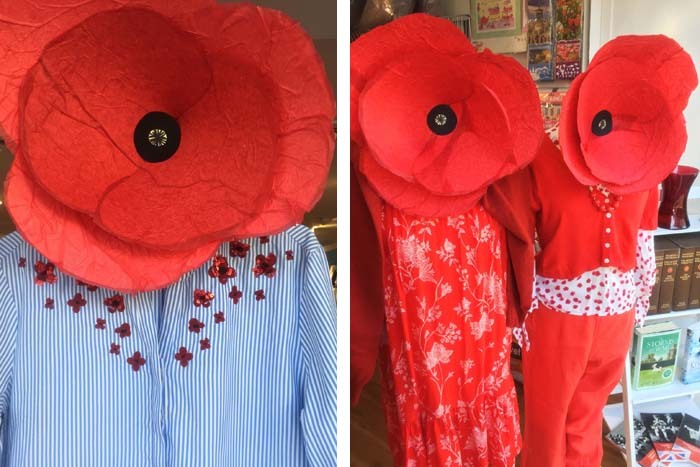 I used paper and red tissue paper to make the giant poppies. 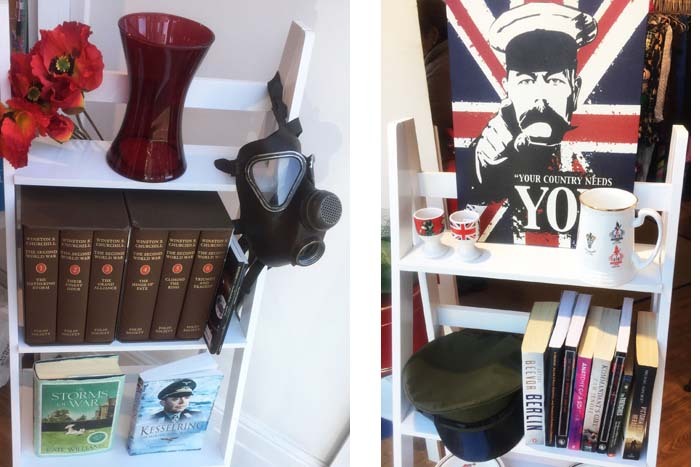 During the last few weeks everyone at the shop has been collecting poppy related clothes and bric a brac and putting them to one side in our sorting room – in readiness for this week. 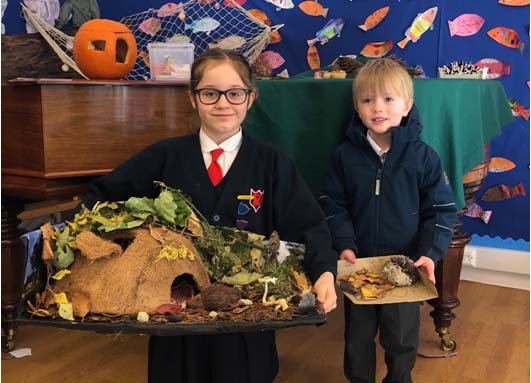 Amelia loves to decorate the window and she’s won the Christmas Shop Window competition in 2016 with her See Amid the Winter’s Snow snowflake window and she came third in last year’s Save the Bees summer competition. 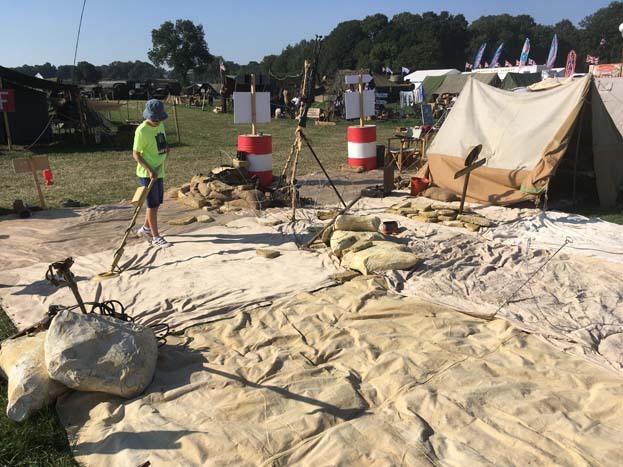 Richard has been collecting for the Poppy Appeal at the last three shows he has taken his is display to – the Military Odyssey, the Victory Show and 1940s weekend at Hughenden Manor.